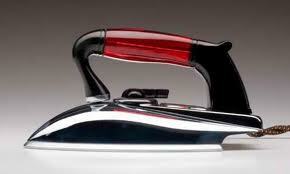 We've all seen the joke, apple's new must have gadget for women, iRon. If I bought an iron for my wife i doubt I'd get a single brownie point, three would be out the question. Charlton had the Iron Saturday and came back to London with not just a useful point, but with something far more important, an end to a very short losing streak before it became a habit. The Addicks may have only picked up one point from the last possible nine but they are still nine points clear of the two steel city sides. Needless to say the negativity around certain sections of the support is up to it's normal level but I'm not getting sucked in. No sir, our destiny is still in our own hands and i believe we've got enough backbone to not only get automatic promotion, but lift the silverware as well. There, I've said it. Back to Scunthorpe and an early goal for Bradley Wright-Phillips, number twenty for the season, after work on the right from Scott Wagstaff saw the six hundred travelling Londoners put the nightmare of Notts County well and truly behind them. Scunthorpe however battled on and drew level from the penalty spot halfway through the first half. The Iron are one of those sides you really don't want to be playing at this stage of the season as they are battling for their lives down the bottom. Another tricky opponent is Yeovil Town, Tuesday's visitors to The Valley. That could go either way, but on our day we could put four or five past them, wouldn't that get things back on track a treat! They are on a little bit of a roll at the moment and i was surprised to see they had moved up to twelfth in the table, i honestly thought they were in the bottom six. Unbeaten in March they have won four and drawn one, just our luck to meet them now. I'll settle for a 1-0 in retrospect! Looking at the remaining nine games, there isn't really an easy fixture among them. A lot of the sides are either fighting to survive or pushing for the play offs. Every game now will be the most important one of the season, starting with Tuesday. It's six months though since any other club has led League One. Charlton aren't going to let that mantle slip away without a fight. Full of this belief, i got around to sending my season ticket application form off this week. I can't think of a better way to spend £240 than on the ups and downs that is Charlton Athletic football club. Promotion, league titles, relegation, all these things suddenly became very very small yesterday unfortunately with news of Fabrice Muamba suffering a cardiac arrest on the pitch for Bolton Wanderers in their cup tie at White Hart Lane. Needless to say my prayers are, like the rest of the football world, with him and his family. It's a shame it takes something like this to happen for the rest of the world to see all football fans aren't hooligan thugs. I absolutely love supporters of all sides joining together in a footballing family to send their love and prayers, not to mention hearing both sets of fans at games up and down the country singing Fabrice's name.